Margareta Solomensky and Howard Miller performed with guest pianist Kathy Rundell. 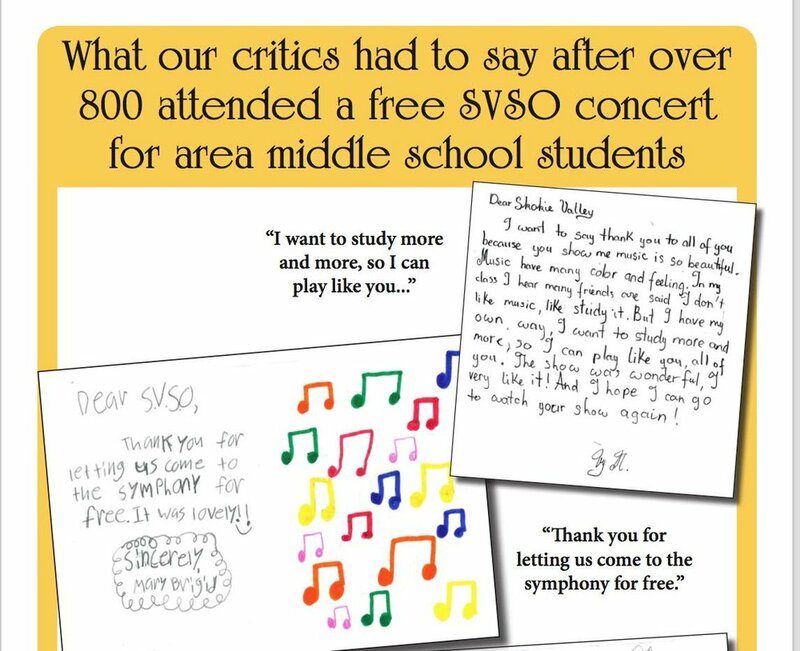 They are part of the community outreach effort of the Skokie Valley Symphony to promote the SVSO, community events, and music education in the North Shore community. The event took place at 1 PM on January 27 th at Niles West High School and was part of this year’s Coming Together Event which celebrates all aspects of Polish culture. The audience and organizers greatly appreciated their participation. Read what the Tribune said about the event HERE. Cellist Howard Miller with guest pianist Kathy Rundell. 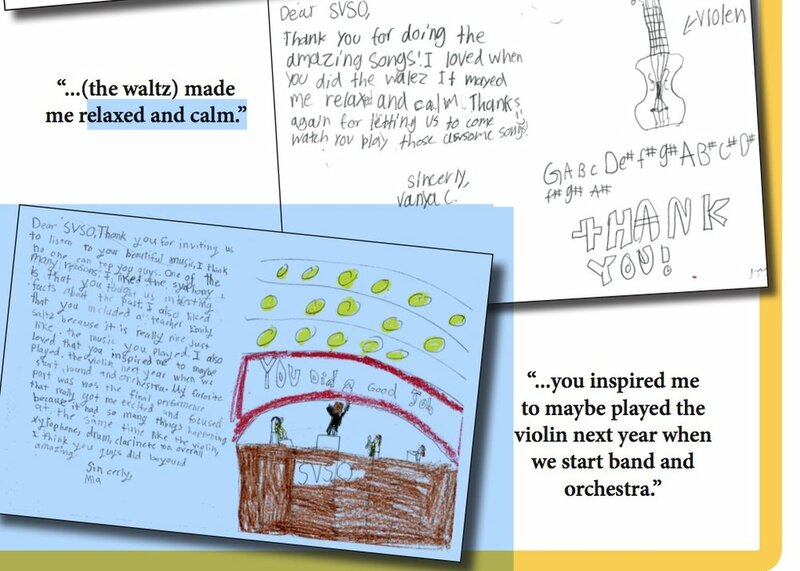 The SVSO is the recipient of the 2018 Skokie Award for Artistic Excellence given by the Skokie Fine Arts Commission for outstanding talent, visibility, and positive impact on the community. Skokie, IL, October 2, 2017 – The Skokie Valley Orchestra today announced its program of music for a series of four concerts for the 2017/18 season – the 56th season presented by the Orchestra. All concerts will be performed at 3 pm on Sunday afternoons in the SVSO’s musical home, the North Shore Center for the Performing Arts in Skokie. Tickets for all concerts – either individually or for a specially-priced full season subscription – may be purchased either through the box office at 847.673.6300 or at svso.org. The October 15 program opens with The Hebrides Overture, one of Felix Mendelssohn’s most popular works. Violinist Maya Anjali Buchanan then joins the orchestra to play Erich Wolfgang Korngold’s wonderful Violin Concerto, a luminous and profoundly lyrical work (dedicated to Alma Mahler) in which Korngold weaves together themes from several of his classic movie scores. Following intermission, the SVSO finds inspiration in the music of central Europe, playing Béla Bartók’s exotic set of Romanian Folk Dances and then Antonín Dvořák’s melodious Czech Suite. On February 18, the Orchestra will present Schubert’s Arpeggione Sonata, featuring viola soloist Tabby Rhee. Like Ms. Buchanan in the first concert, Ms. Rhee is a winner of the Bonnie and Lee Malmed Young Artists Competition 2017. The Sonata, written for a stringed instrument which no longer exists (the arpeggione), is commonly performed today by viola or cello. It is a soaring work in three movements exhibiting great virtuosity. The concert will also feature works of Grieg and Weber, closing with Mozart’s Symphony #38 in D Major (“Prague”). To welcome spring, the April 22 performance features the lighthearted, energetic Rossini Overture from Il signor Bruschino, a comic opera first performed in Venice in 1813. Concert master Jeff Yang and violist Ariel Chapman will perform Mozart’s Sinfonia Concertante in E-flat Major – a work that is considered by many to be the most successful realization of the cross-over genre between symphony and concerto. The concert closes with a performance of Mendelssohn’s Symphony #3 in A Minor, which was inspired by a walking tour of Scotland which Feliz Mendelssohn made in 1829. The SVSO’s 56th season closes with a celebration of American and French freedom on July 15. Itwill feature musical “fireworks” from Gershwin, Copland, Bernstein, Berlioz, Gounod, Bizet and Gould. The SVSO is a community orchestra that has been serving lovers of fine music in northern Chicago and on the North Shore since the early 1960s. The Orchestra is made up of professional musicians and the finest non-professional players in the area, joined by world-class soloists and guest conductors. The Orchestra’s mission is to provide symphonic music at affordable prices in a venue that is comfortable, accessible, and has excellent acoustics; to perform works that challenge both players and audiences; to provide an opportunity for talented young musicians to perform as soloists with a symphony orchestra; to explore new forms of programming; to enhance audience education, experience and interest; and to attract young people and other underserved audiences to concerts and pre-concert programs. The bustle is beginning! A new Skokie Symphony Season is upon us and the orchestra musicians, both community and pro are revving up to make it one of the best. The conductors are exciting and the music can only be described as time honored favorites. Be there to hear our new sound in the new orchestra shell. The acoustics are better than ever! Our guest soloist for the program is an exciting violinist who was the first place winner of our 2016 Bonnie and Lee Malmed Young Artists Competition. You won't want to miss this young talent's interpretation of the Tchaikovsky Concert in D. That is what he played at the competition and we were all mesmerized!. The first concert of the 2015-2016 season for the Skokie Valley Symphony Orchestra takes place on Sunday, October 11 with a blockbuster program.